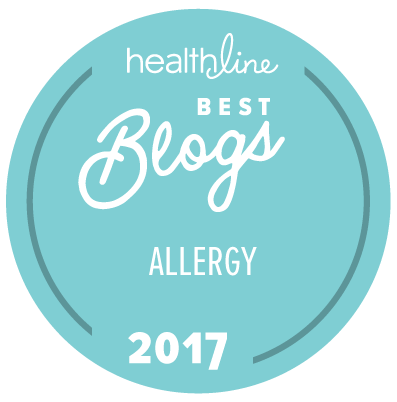 Learning to Eat Allergy-Free: Thank You! Today, June 19th, is the day my book, Learning to Bake Allergen-Free: A Crash Course for Busy Parents on Baking without Wheat, Gluten, Dairy, Eggs, Soy or Nuts is being released. I know some of you already have the book (online booksellers started shipping last week), and some of you are even baking with it already, but today is the official release day. In many ways, this does feel like the arrival of a baby, including many months of gestation after the content was complete (in my case it’s been about 8 months since I delivered the manuscript to my publisher). Chef Ming Tsai, owner of Blue Ginger and an advocate for families with food allergies. 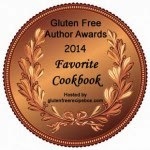 Jules Shepard, gluten-free advocate and creator of one of my favorite gluten-free flour blends. Chef Richard Coppedge, professor at the Culinary Institute of America, one of my favorite places to spend time. Lori Sandler, owner of Divvies Bakery and creator of some of my favorite chocolate chips. Alisa Fleming, founder of Go Dairy Free and an inspiration for all who need to eat dairy-free. All of these supporters have authored their own cookbooks, and I am honored to be in their presence. Lynda Mitchell, President of Kids with Food Allergies Foundation and Wendy Book, President of the American Partnership for Eosinophilic Disorders, lead two of my favorite non-profit organizations that work to help families with food allergies. Dr. Atul Shah is The Amazing Allergist, and has authored inspirational books for families with allergies. Last, I must thank Dr. Stephen Wangen who wrote an inspiring foreword for my book. 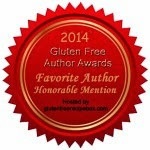 Dr. Wangen is known as The Gluten-Free Doctor, and wrote the book Healthier Without Wheat: A New Understanding of Wheat Allergies, Celiac Disease, and Non-Celiac Gluten Intolerance. The primary reason I asked Dr. Wangen to write the foreword is because of his very practical approach to diagnosing and treating food-related illnesses. His work is inspiring and I am privileged to have his words grace the pages of my book. I feel like a very lucky girl! Please check out the work of these totally awesome doctors, authors, bakers, and leaders in the food allergy community. Congratulations! We all know how difficult it can be when starting out with a huge change in your diet and the way you cook. BUT, it can be done and the benefits far outweigh the initial changes. Wishing you great success in your book!